Welcome to a special (and actual) Halloween edition of the blog today. That's right, even though 95% of the parties and events were held yesterday, we bring you awesome coverage of one... two days later. Spooky, right? ...Yeah, I know, its not. But I believe you'll get a kick out of some of the costumes you'll see today. Aside from attending the SLC Fashion Stroll, which you can check out pictures from that event here, this past Friday we head to the west part of downtown for, what I'm calling, the best party of the year. --- The Pickle Factory played host to a private little event, bringing in seven of Utah's strangest and radical bands to play some songs including Laserfang, Skellum & Grimblee, Virgin Sophia and straight out of Portland... Guidance Counselor. Overall, badass event, got felt up a bit. Thank you ladies. And congrats to the nine different men who dressed up as Hunter S. Thompson who won the "Most Won Costume" award, beating out seven Chilean miners and helping me get mileage out of my Johnny Depp joke. Meanwhile, we're gonna focus on the closing acts of the night. The trio hip-hip group that is Goblin Death Machine, the duo of Futr Kids (who due to technical difficulties didn't get to play their full set so we'll just have strange graphics in place of their pictures), and closing out the evening with the limboic-rock that is Night Sweats. Along with plenty of pictures from the evening that include many of that night's costumes, all for you to check out here. Makena: We are the Goblin Death Machines. John: Wearing smelly AMAP at work, just helped a crying Asian girl feel better about life, for life. Ate some union fries I feel sad about, drinking the Pellegrino. Wishing someone would make a chess move (via redhotpawn). Makena: I was banging on my mum's cervix in-utero. Bob Marley, Michael Jackson, Tom Petty, MC Hammer. Gavin: How did you get together to form Goblin Death Machine? Makena: I heard John rapping about robots on MySpace and asked him out to lunch. Gavin: Considering the raps and beats you put together, what's it like for you putting your skills together and writing out a track? Makena: It's a cosmic supernova of creativity and styles. It's like Jim Morrison writing a poem about Andy Warhol taking a picture of Flava Flave having a latte with Jonathan Franzen. John: Weeks of procrastination before a concert. Freestyle the concert while looking at each other. Then new songs. Gavin: Is there a lot of freestyle on your part or do you try to structure it as much as possible? Makena: I freestyle all the time. Why? You want to battle? John: Freestyle biting rewriting = song. Gavin: Last year you put out an untitled EP online. How was it for you both putting it together, and why did you choose online rather than putting out a physical CD? Makena: The EP did have a title, it was called Digitally Remastered by the Goblin Death Machines. We put it out on the internet because it was free to do so and neither of us was willing to pay to press CDs. John: Mixed and mastered on a bike tour in Japan. Makena made the cover art, and it's good. Would be down to sell merch if someone made it for me, and I liked it. Gavin: What was the public reaction to it when it finally went live for download? Makena: A string of mass virgin suicides. Gavin: Are there any plans on your part to put another album together, or just playing shows for now? Gavin: Do you prefer doing things in the DIY style or would you rather take this in-studio? Makena: We are eager to sell out for a small to moderate amount of money. John: Also a large amount. Makena: Night Sweats looks like they will fill the void left by the Shades breaking up. Salt Lake hip-hop is the worst. John: Seems bad. Bought a record from Urban Friday night. The glue came undone on the case, the record skipped when played, and it also had bad music pressed onto it. Wasted $20 I earned from rapping. Makena: Rappers could learn how to rap. John: Yeah, people should get better at music. Makena: Smash Brothas, Night Sweats. John: Smoked pot with Day Shawns (dope thought) yesterday. He seemed alright. Gavin: What's your opinion on the current airplay on community radio these days and how its affects local musicians? Makena: KRCL is nice to listen to, but they won't return our calls. John: Never got "Friday Night Fallout" to play my songs either; called up every Friday for three months asking for Edan. Makena: I steal all my music online. John: Aside from the occasional performance purchase/movie date/indygame support, haven't bought a program/album/movie since Napster (via teendialup). Shane: The Futr Kids are a group of musicians that time traveled backwards from the faux-future envisioned by the pop-culture of the 1970's. In this alternate future there are no more stringed instruments, just synthesizers and beat machines. They craft narrative performances that involve music, video, audio bytes and paper pamphlets. The Futr Kids also really enjoy the cinema of 21st Century, and will be prominently featured in the locally produced feature-length film "In 1997". Shane: The Futr Kids listened to mostly heavy metal and gangster rap growing up. Later on, while working at a music store, they delved into hip-hop, indie rock and techno. Lately, all they listen to is chillwave, dupstep and synth-pop. 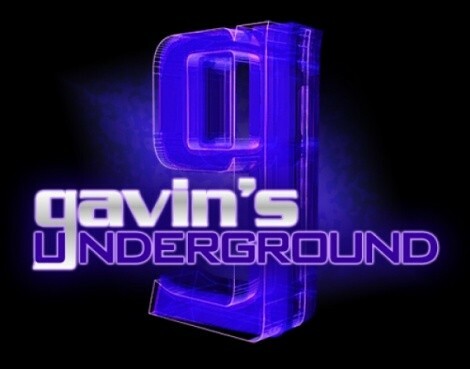 Gavin: How did you both get together to form Futr Kids? Shane: The Futr Kids are a hive-mind A.I. that live in the internet. They make music by collaborating with a guy named Shane, who spends way too much time on his laptop playing with midi tracks and VSTs. Gavin: You just formed together a short time ago. How has it been writing songs and figuring out your sound? Shane: In the Spring of 2010 Shane sold all of his stuff and moved into a motor-home. Over the summer he's been holed up with the Futr Kids producing tracks that range from hip-hop beats to synth-pop and dubstep. At first Shane was exerting too much control over the creative process and ended up making thin, predictable songs. Since then he's learned to let the Futr Kids tell him what to do, and is now producing more interesting, varied songs. Gavin: The Pickle Factory show will be your first big public gig. What are your thoughts going into it and playing along side these other bands? Shane: Shane worked with John Schwarz and Collin Armstrong to organize the Pickle Factory party to film a scene for the movie "In 1997". That was the original intent for the party, to have an authentic concert experience in the film for when the Futr Kids perform with MC Diamond (John Schwarz) in the culminating scene. Since then, the concert has evolved far beyond being just a scene in a film, and is now a mini-festival with seven bands and a collaborative sponsorship with the New Works Theatre Machine. Shane has performed live before, but never alone, and never surrounded by bands so much better than him. This makes Shane nervous, but the Futr Kids keep assuring him that his set is pretty sweet. Gavin: Are there any plans in the works to record something, or just playing gigs for now? Shane: In the faux-future there are no more albums or records, so the Futr Kids are primarily interested in playing live shows. Playing live is very important to the Futr Kids, since the Internet Music Explosion of the early 2000's, and subsequent collapse of the record industry, pushed musicians to return to live performance. Gavin: Are you looking for a local label or planning to do things DIY? Shane: With internet distribution and music production being so individual and accessible now, the Futr Kids don't really see the purpose of joining or establishing a label. Right now, at least. Shane: The Futr Kids telepathically attend a lot of concerts in Salt Lake City, and are consistently impressed by the local talent. They can't really speak for outside of the city though. Shane: More local people getting out to support the local music. Shane: MC Diamond, Goblin Death Machine, Cornered by Zombies, Night Sweats, Vile Blue Shades (before they split). Anytime any of those people play, the Futr Kids attend. Shane: The only station that the Futr Kids listen to KRCL 90.9, and that's only on the rare occasion they ride in a car. KRCL does a good job of playing local stuff, but they could stand to play a bit more. Aside from that, the Futr Kids only listen to music live or on the internet. Shane: The Futr Kids have all of their tracks online, both for streaming and free download, on their SoundCloud account. The Futr Kids never expect to make money from their music, and generally support file sharing. Shane: The Futr Kids would like to play the Halloween set, which is titled "An Ode To Carl Sagan", a few more times live at different venues, and then start working on a new set inspired by the junk-food science fiction films of the 1980's. Shane: Check out the Futr Kids on Facebook. Listen to our songs at SoundCloud. If you like the music, invite us to play at your bar, club, or house party! Also check out the New Works Theatre Machine, a truly interesting theatre group just getting started in Salt Lake City. The Futr Kids have attended a couple of their performances, and are excited to see the upcoming production, Go To Hell. Mike: We are Shane Asbridge, Mike Drone, Stephen Chai, Scott Selfridge, Terrance Warburton and Chris Controller. Mike: This would be longer than the whole interview. Everyone grows up with different influences, which can shape and influence who any band is. Maybe the other dudes want to send along their influences. I prefer it dark. Gavin: How did you all get together to form Night Sweats? Mike: Chris Controller and I started writing songs about a year ago. Our intent was to establish a foundation of songs that our friends, and long-time band mates, could easily build on. After a couple months, we sent out some demo recordings and quickly formed as a full band with Terrance, Stephen, Scott and Shane. Even after playing with these guys in other bands for so long, we were amazed at what life they brought to the project. Gavin: You just formed together earlier this year. How has it been writing songs and figuring out your sound? Mike: Our sound comes natural. We don't focus on what we sound like, rather what feelings our sound may produce. Our song writing process has been smooth to date. All of us have a common thread of respect for one another, I think that (and patience) allows for everyone's ideas to be heard and fostered... or tossed. It's a labor of love, and a constant work in progress. Gavin: Being a six piece group, was it difficult getting coordinated and functioning as a group, or did things just fall into place for you? Mike: It is easy coordinating as a group. If we have not played previously together for so many years, it might be different. Gavin: What's the crowd reaction been like for you playing around town? And for you how is it now playing for bigger crowds at venues? Mike: We don't focus much on the crowd. I think it's gone over alright. We haven't been booed off stage yet. We prefer playing for smaller crowds... house parties. Gavin: When you do head in to record, are you looking for a local label or planning to do things DIY? Mike: We're planning on recording it ourselves... unless you want to give us money!?! Gavin: Down the road are you thinking about touring or sticking to home for a bit? Mike: We want to tour. We have no plans, but we talk about it. It's something we'll most likely do in the spring or summer. Mike: Music is good for communities everywhere. Ours is no exception. Mike: More venues would be great! Mike: Pretty Worms, Palace Of Buddies, Red Bennies, Laserfang, Birthquake, Tolchok Trio, Accidente, Spell Talk... to name a few. There are lots of good local groups. Mike: I don't listen to the radio. Mike: I don't really know the affects file sharing has on musicians. I like buying albums with download cards. Mike: A couple of shows, possibly a record next summer.